On Friday September 21, 2018 Olympia North will be hosting Grandparent’s Day. This event will last from 8:15 am until 10:15 am. This is a morning for grandparents to come spend time with their grandchild, and see the great things taking place in the school. We are excited for a morning of fun! 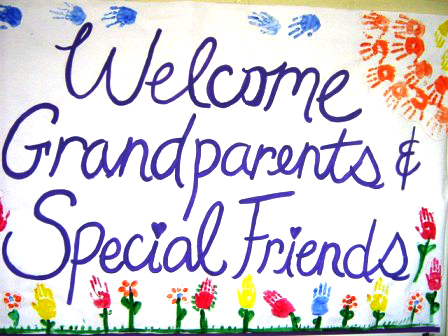 If a grandparent is not available to attend, your child may invite a special person to spend the morning with him or her. Unfortunately, we will not be able to accompany grandparents for lunch on this day. 8:00 am:	Check-in - Donuts and coffee will be available in the cafeteria. 8:15 am:	Mr. Hurley will address our guests in the gymnasium. Please let us know if your child plans to have grandparents in attendance by returning the RSVP form to school as soon as possible. This form will be sent home with your child on Wednesday 9-6-18. Thank you for your support on this special day at Olympia North!